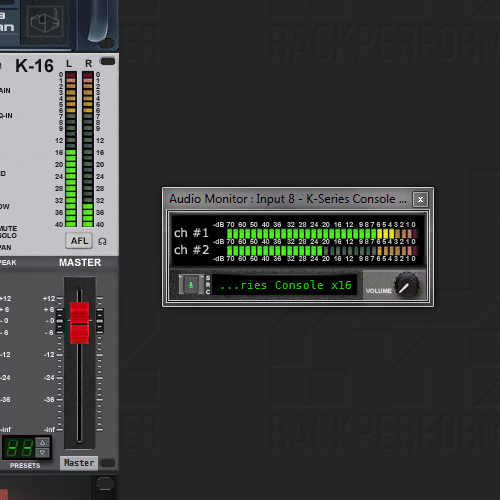 Rack Performer supports VST plugins (effects and instruments) and thanks to its collection of included internal modules you can perform right away. 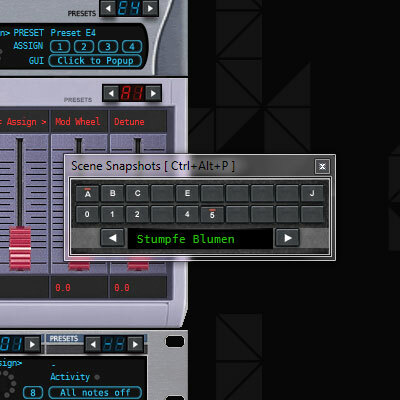 All MIDI Controllers are supported (keyboards, pedals, knob and fader boxes, etc) and the Quick MIDI Map feature allows you to configure them in a flash. With Virtual Screens and Multiple monitors support there is no overlapping windows and all interfaces remain accessible at all time. 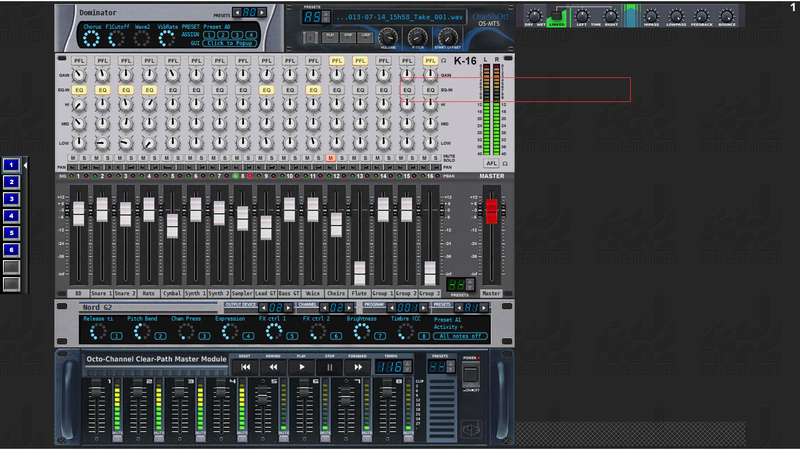 Pre-listen and cue sounds using Dedicated monitoring channels and Any-point monitoring. 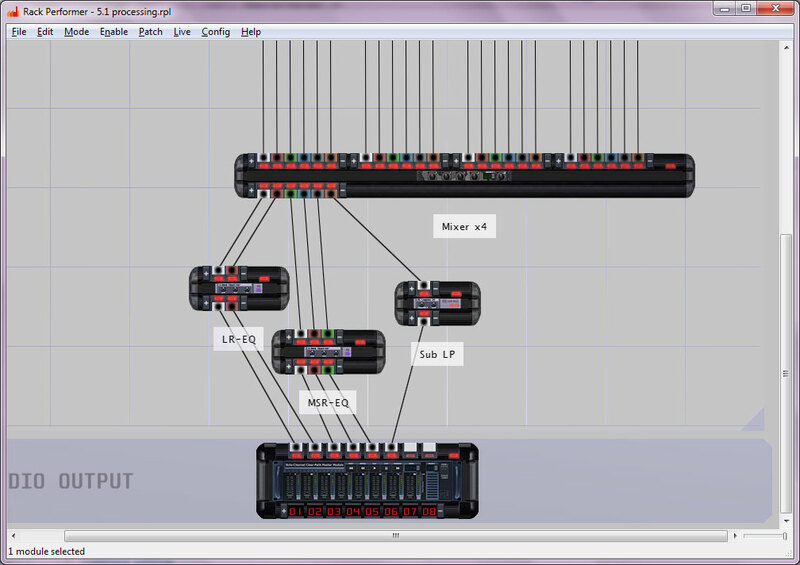 Perform in real-time with ultra-low control jitter, and process live audio sources with multi-channel I/O. 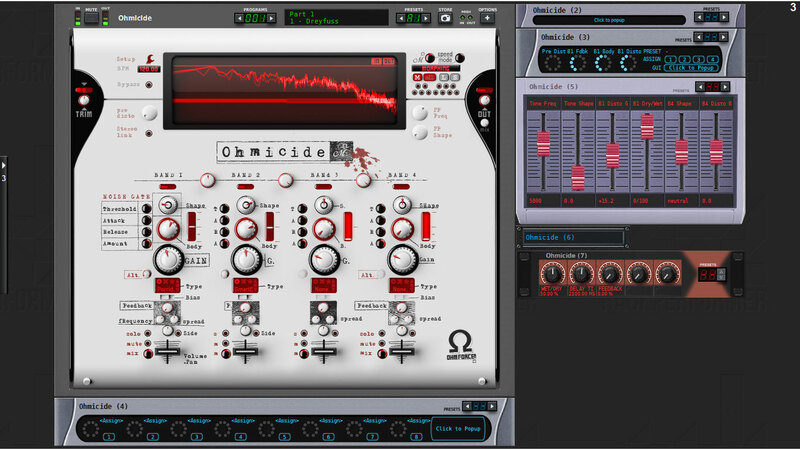 High-level modular environment supporting VST/VSTi plug-ins, internal modules, multichannel audio and MIDI. 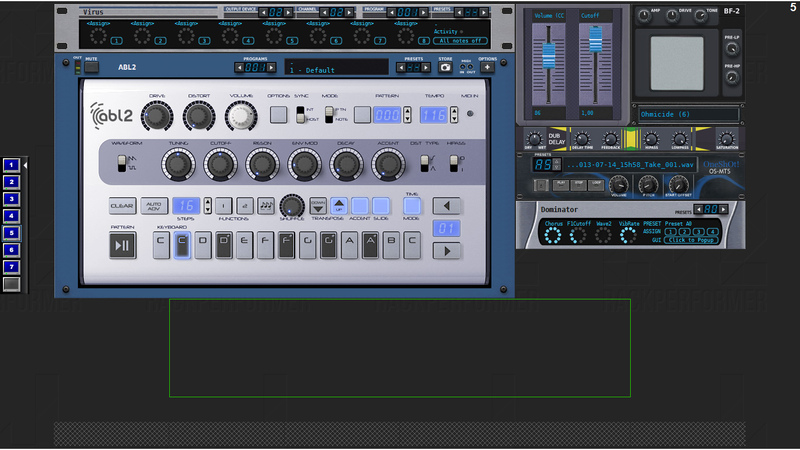 Use ready-made instruments and effects to create complex patches without needing a degree in electronics or computer science. 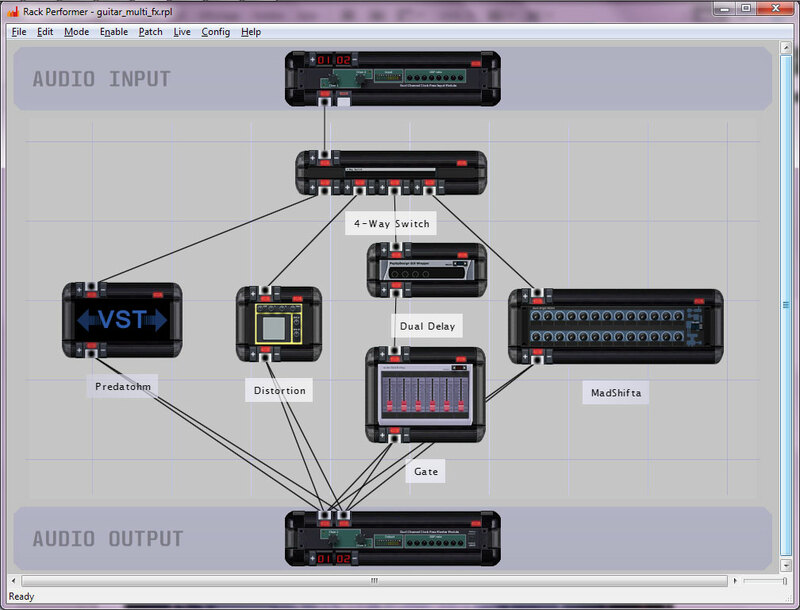 Create as many modules as you wish and define the audio signal flow by dragging cables between their outputs and inputs. 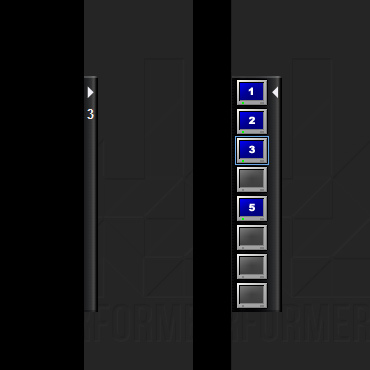 Full-screen interface without scrolling or overlapping windows, based on virtual screens concept. 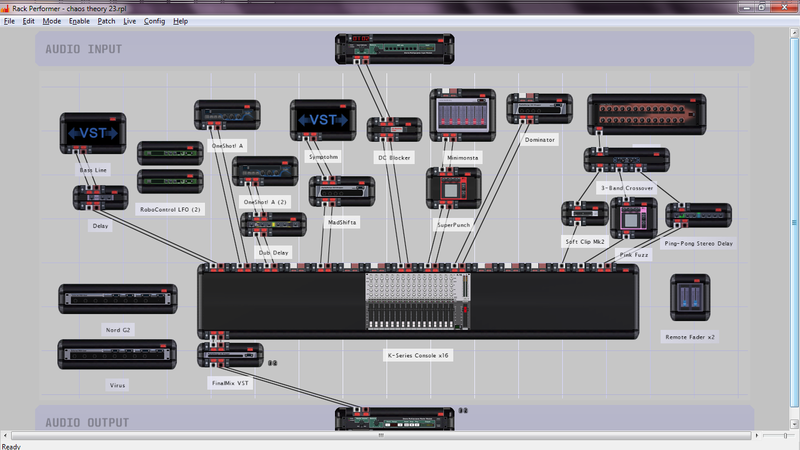 Dispatch all module interfaces exactly the way you want on up to 8 virtual screens, each holding its own rack of modules. 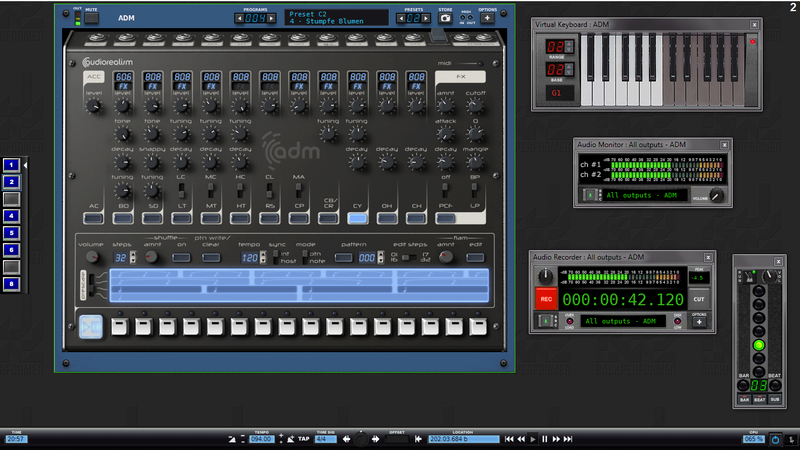 Switch between screens in a flash by using the screen selector, keyboard F1 to F8 keys or even your MIDI controller. Always get a clear view of your entire live set and keep everything you need to play at hand. Original way to save and recall any instant of your performance in a flash. 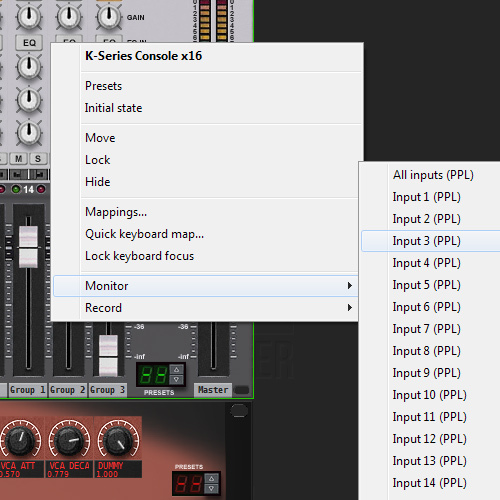 All modules have their own presets bank where their state and configuration can be stored and recalled at will in the form of individual presets. 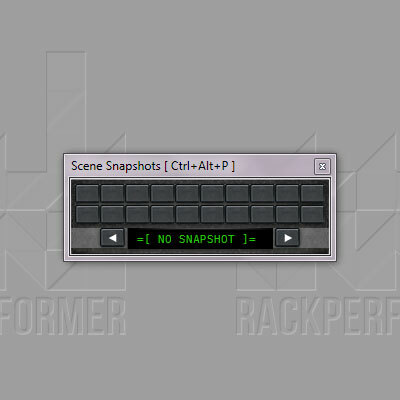 Scene snapshots work on top of the presets system and can be seen as "meta-presets", that is, presets for the whole document state at the moment the snapshot was taken. 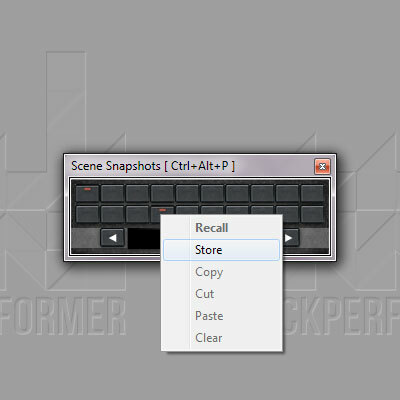 Storing and recalling scene snapshots is really easy and instantaneous, using the floating window or your MIDI controller. High-precision sample-accurate engine, for low jitter and ultra tight control and synchronization. All events sequencing, automation and processing (control, notes/MIDI, clock/synchro) is completely sample-accurate from end to end. 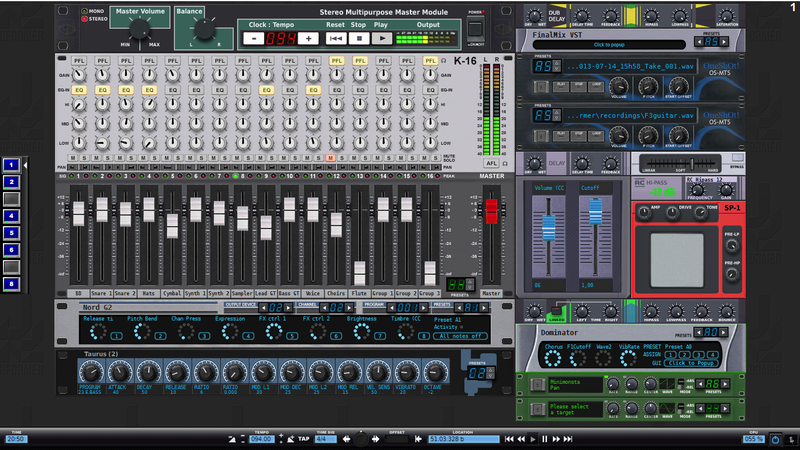 This means that all nuances of your performance are more faithfully conveyed, recorded and reproduced. Full sample accuracy also permits to have a complete patch delay compensation (PDC) that is not merely limited to delaying audio signals. And when applied to clock signals, it allows a tight and reproducible external synchronization. Allocate dedicated audio output channels for audio monitoring, ideal to cue sounds on your headphones before playing them. You are not limited to stereo as this is a real multi-channel dedicated monitor output, allowing to pre-listen 5:1 sources for instance. 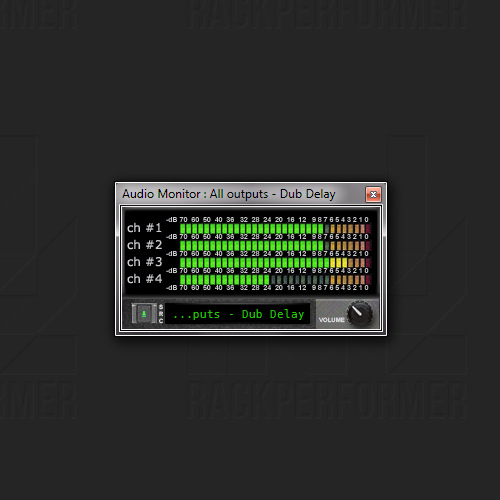 The audio monitor has its own floating window with meters, source selection and volume controls. 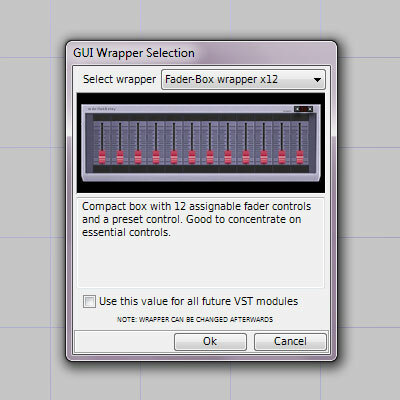 Display module interfaces exactly the way you want and chose amongst a large number of GUI wrappers to build your perfect control surface. 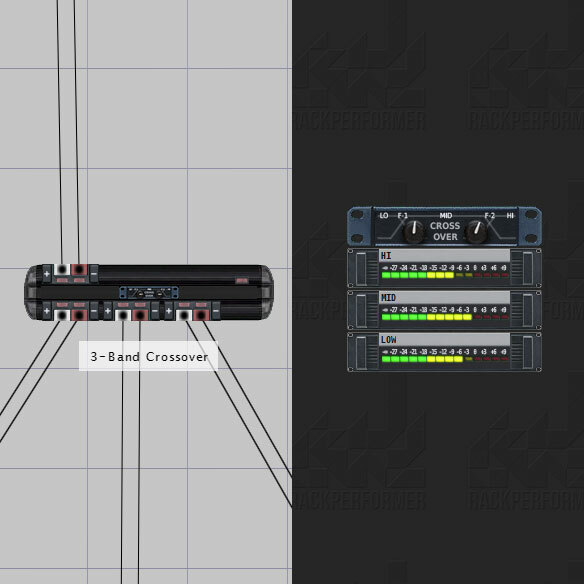 For each module you create in the patch-bay you can select between many different ways to display its graphical interface, from very compact to very large, including of course the original module interface if there is one available. 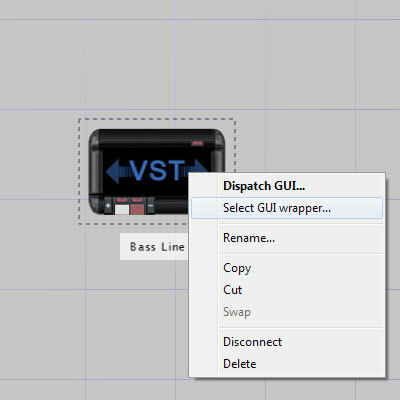 GUI wrappers can be changed at anytime, making it possible for instance to configure a module using its own full GUI then switch afterwards to a more compact one having just a single presets control. The idea is simple: focus on what is essential when you are playing live, and hide the complexity you don't need.